I talk often about how I feel about the "first look" trend and what I think it means for wedding photography. 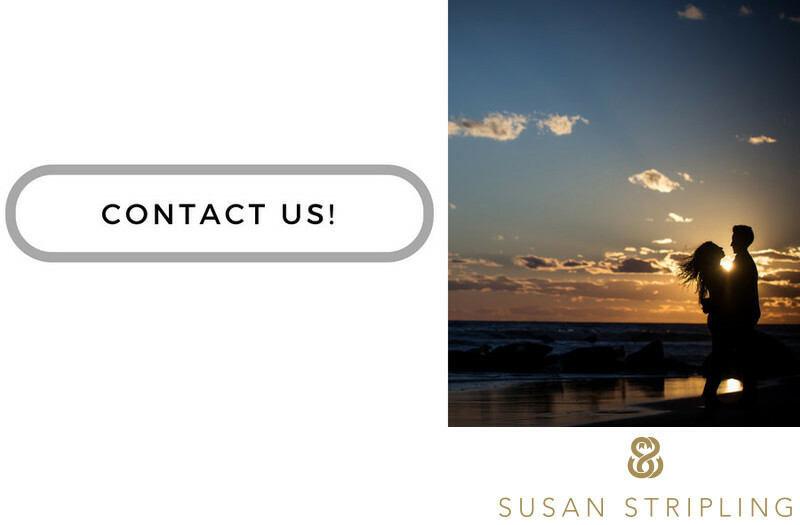 I chat about it with clients before they book me, we talk about the logistics of it as we work on your timeline, and we talk about how you envision it happening…if you envision it happening at all! 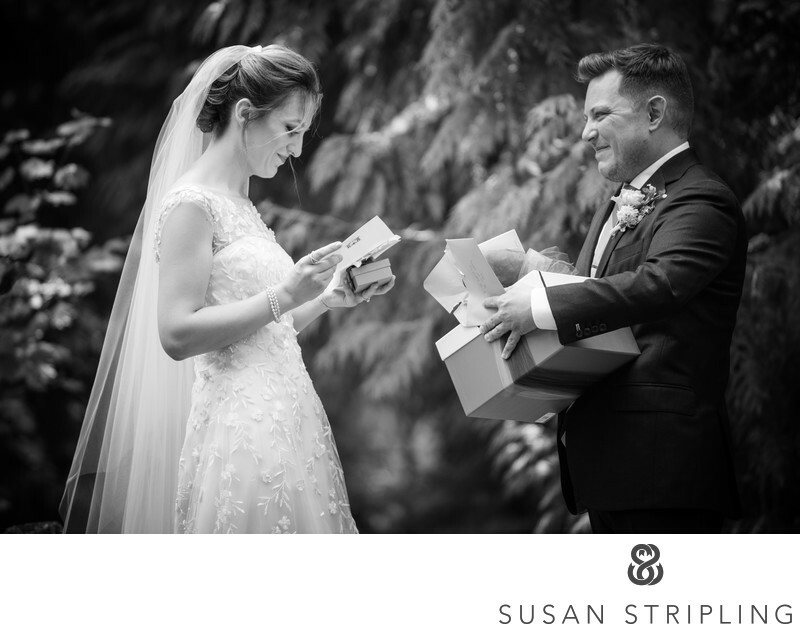 I am here to tell you how long it will take to shoot your list of family formals, how much time I need for certain aspects of the day, where a good place would be to put your dress or suit on, and how to pose for a portrait. When "first looks" are super staged, there is no opportunity for naturally occurring moments. Luckily that's not how we operate! If you want to see each other prior to your ceremony, I want it to be a moment that you remember! It’s not my job to tell you when and where you want to see your new spouse for the first time. It is my job to give you the pros and cons about seeing each other before the ceremony and then let you decide on your own. If you want to read some of those pros and cons, check out this article here. 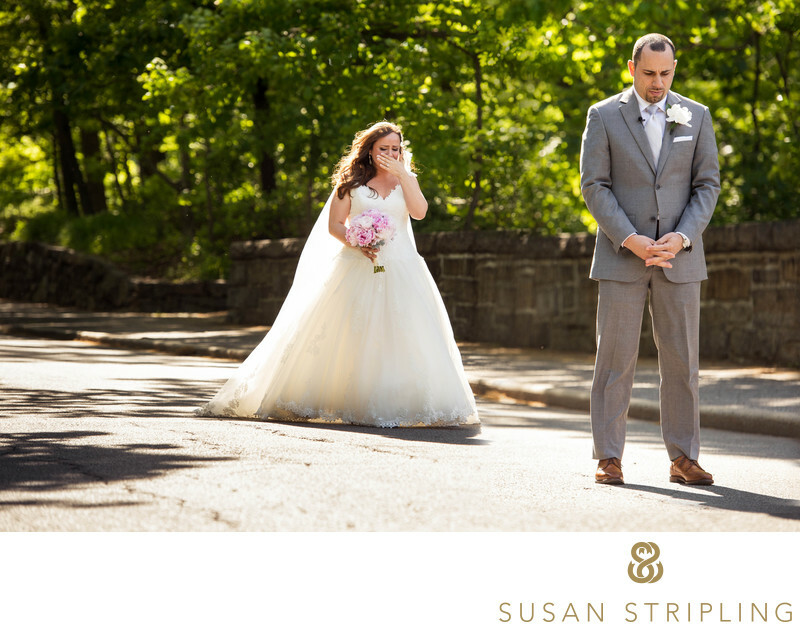 This groom cried with anticipation before his wife crossed the hill to see him for the first time! 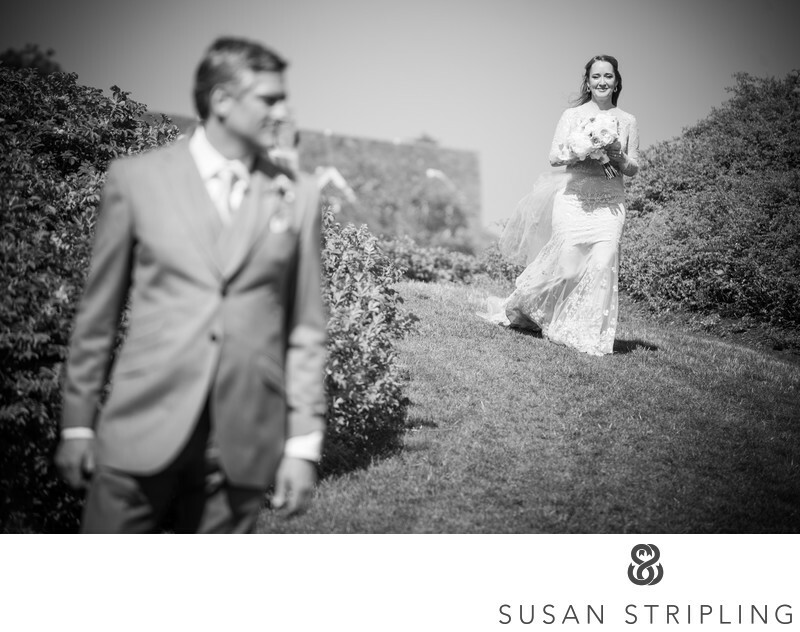 This bride and groom decided to see each other before their wedding at the Stone Mill at the Bronx Botanical Gardens and it was every thing a “first look" should be. There was anticipation. There was emotion. It wasn’t “set up” or posed to be anything other than natural and organic. Most of all, there was an honest, incredible interaction that could never have been staged to be as beautiful. The second she rounded the corner in the garden, he turned to look at her! 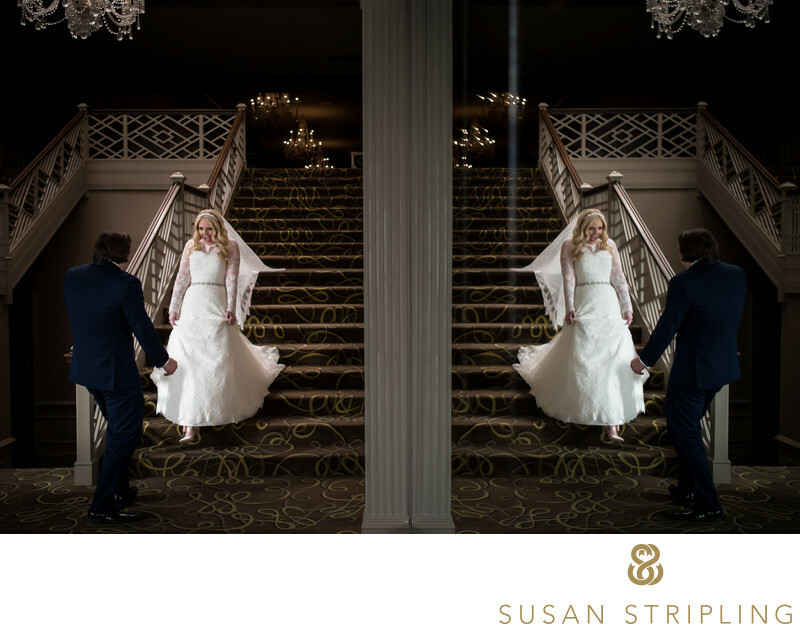 If you're getting married at the Stone Mill in the Bronx and want to do a "first look", let's chat! There are dozens upon dozens of amazing locations in the gardens and on the grounds that you can use for this important moment on your wedding day. I'd love to help brainstorm the options with you, suggest some places you might not have considered, and plan to make this part of your wedding day (and your wedding photography!) a wonderful one! Location: 2900 Southern Boulevard, Bronx, NY 10458-5126. Keywords: New York Botanical Gardens (24), New York City (207), Stone Mill (24). 1/640; f/4.0; ISO 500; 155.0 mm.